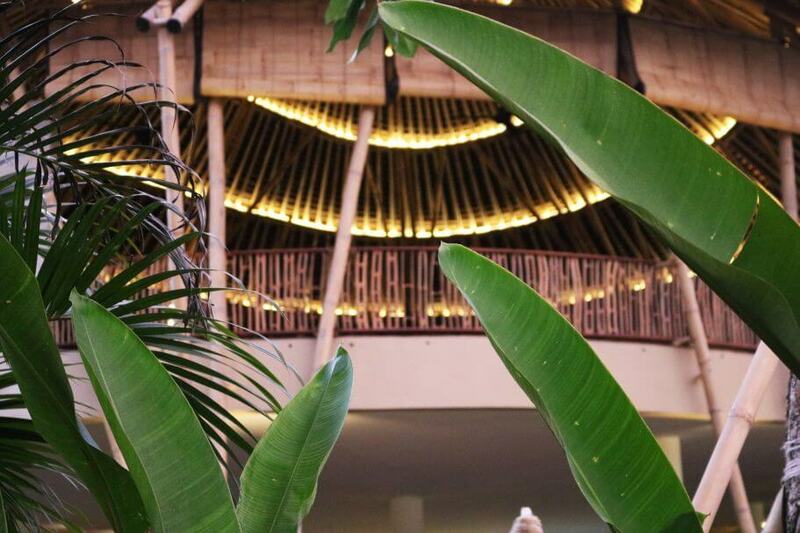 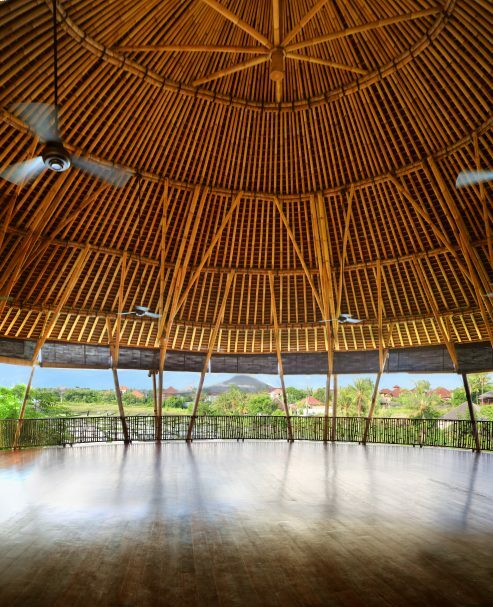 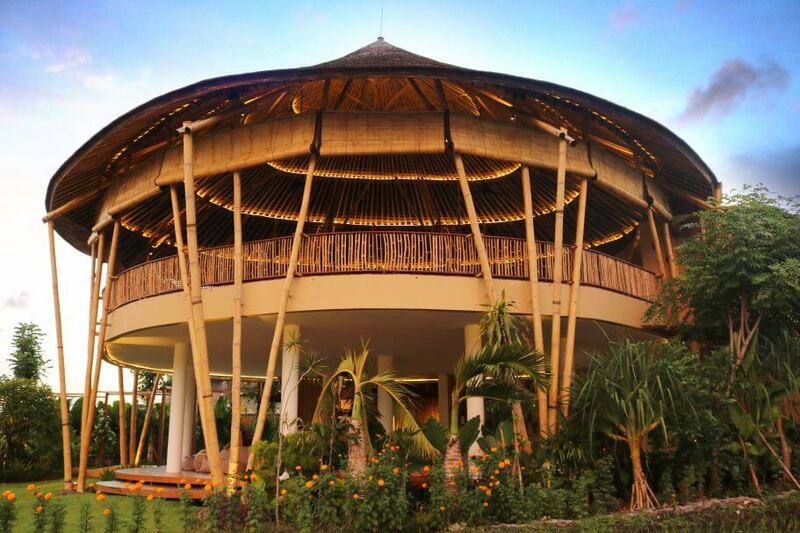 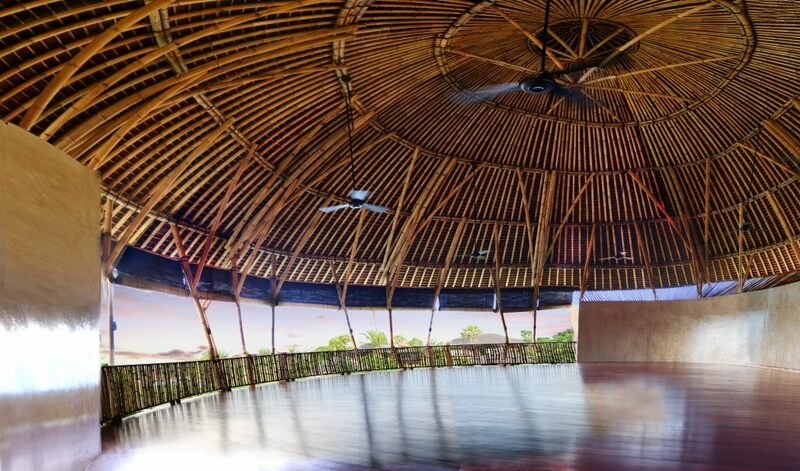 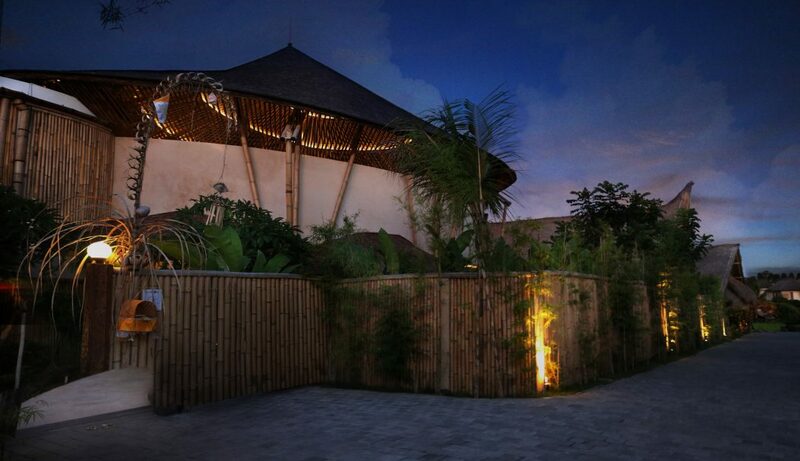 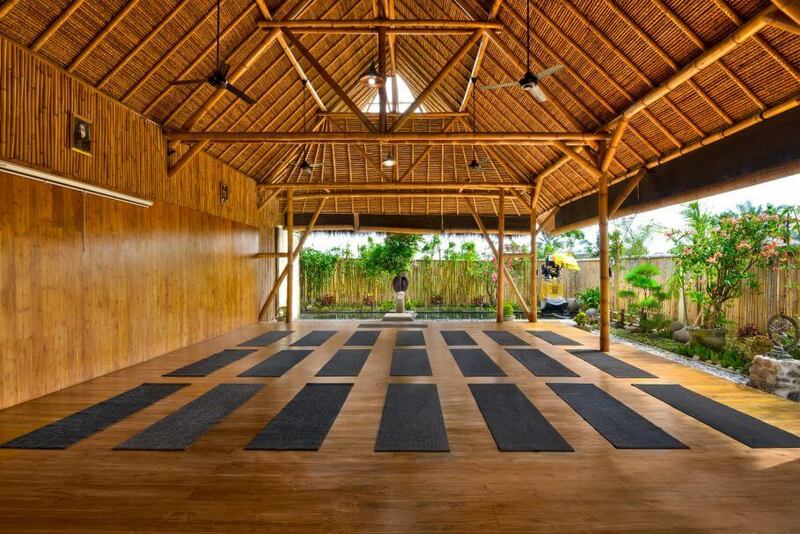 The Practice is an all purpose yoga and community hub in near proximity to the beach, capturing views over luscious rice fields and towering volcanoes in the distance. 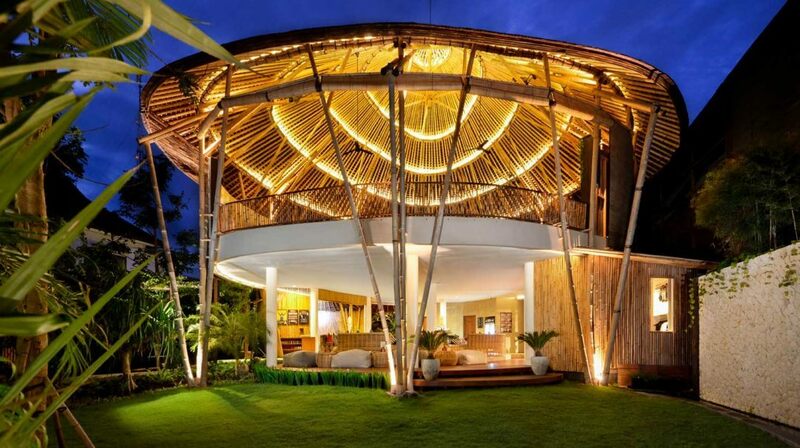 Appealing to the modern practitioner, the philosophy of connection, harmony, tranquility and the natural elements are extended into the architecture embodying this. 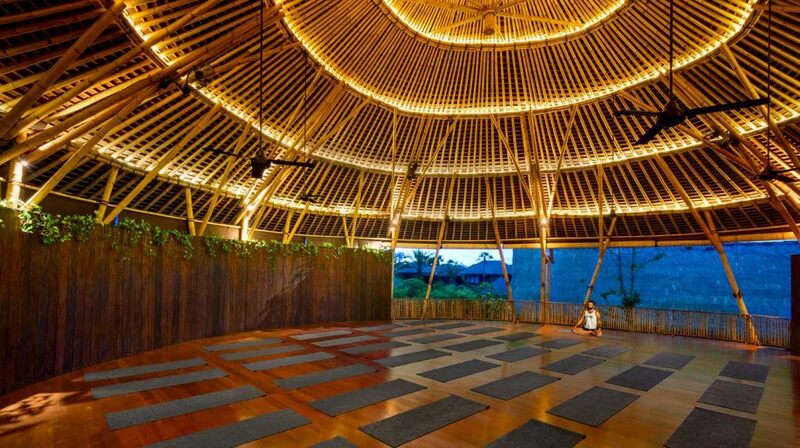 The development makes the most of its exacting budget, creating two large, elegant studios that can accommodate up to 140 practitioners combined. 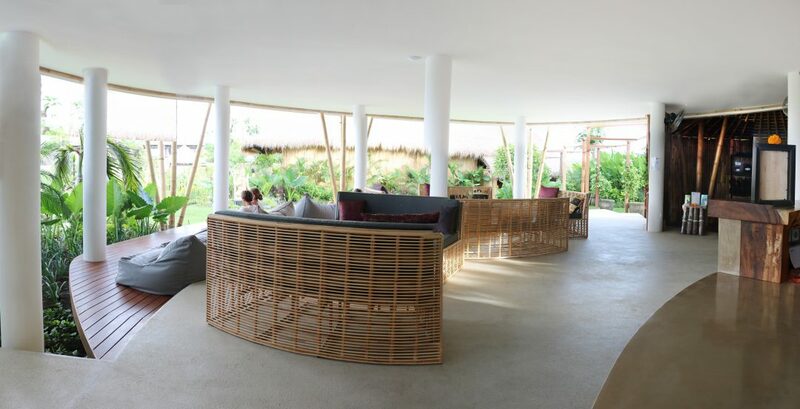 With a spacious lounge, shop, showering facilities and gardens, the spaces remain open, with organic and free flowing movement through each section of the site. 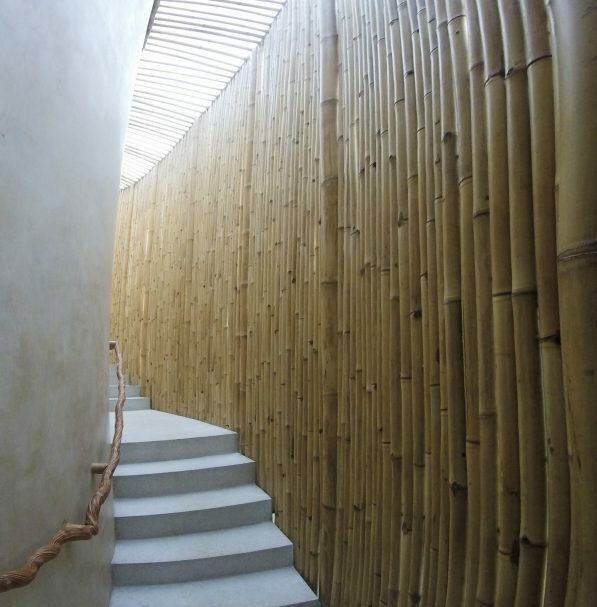 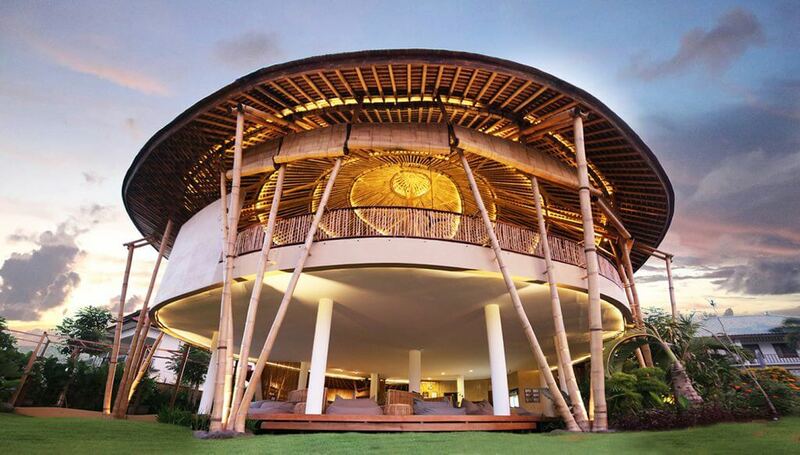 Surface treatment is clean and minimal with polished lime renders and accompanied by natural materials such as bamboo in its structure, coconut wood and recycled timber in its finishes. 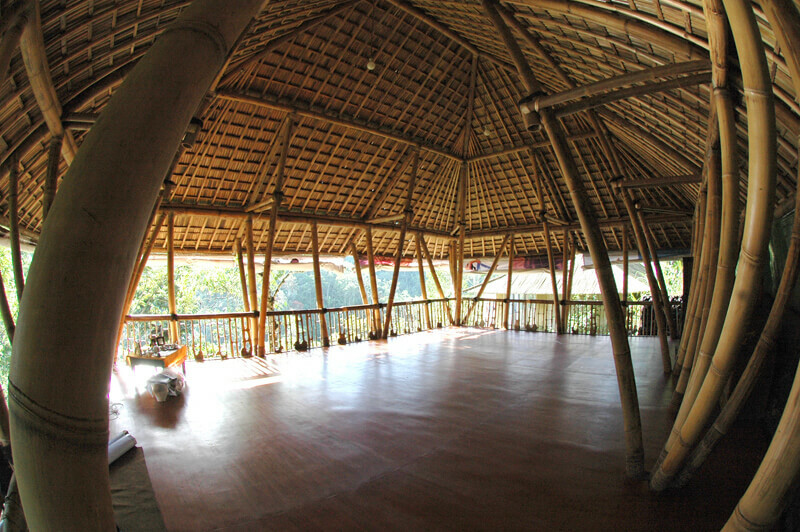 The floor plan of the main studio is shaped like an embryo, highlighting the non-conformity of nature, while lines, structure and planes reach toward a vision of ascension.